Jonathan Bach has handled numerous high profile trials and appeared in federal and state courts throughout the country. Over nearly 30 years, his career has placed him at the center of many noteworthy matters, ranging from the defense of prominent Wall Street professionals and leading public and private companies and financial firms, to the defense of well known politicians and non-profit organizations, and to the defense of indigent individuals charged with crimes. He specializes in white collar criminal defense and complex business litigation. A fellow of the American College of Trial Lawyers, and recognized in Chambers USA, Best Lawyers in America, Euromoney’s Guide to the World’s Leading White Collar Crime Lawyers, Legal 500 US, Benchmark Litigation and New York SuperLawyers, Jonathan has represented both domestic and foreign clients in regulatory investigations, grand jury investigations, corporate internal investigations, and international arbitrations, as well as in numerous contested litigations. In his criminal defense practice, Jonathan has obtained numerous trial acquittals and helped many individuals and entities avoid charges altogether. He has represented defendants in investigations and proceedings concerning securities fraud, bank fraud, health care fraud, the Foreign Corrupt Practices Act (“FCPA”), insider trading, bribery and corruption. He has also authored numerous amicus briefs for the United States Supreme Court and testified before the Senate Judiciary Committee on a variety of criminal law issues. For several years he co-taught a seminar at Columbia Law School on Federal Criminal Practice with firm partner Alexandra Shapiro. In his civil practice, Jonathan has successfully represented defendants in numerous trial and arbitration proceedings. He has led litigations concerning securities and financial fraud, civil rights violations and discrimination, trade secret misappropriation, patent infringement, and various business torts and contract disputes. Early in his career, Jonathan served in the Federal Public Defenders Office in the Southern District of New York, where the majority of his trials resulted in acquittal or hung juries. Later, in his pro bono practice, he obtained the acquittal of defendant David Lemus in a high profile murder trial that has been the subject of extensive media coverage and two television documentaries following numerous law enforcement investigations. The New York Times called the case “one of the more notorious and vexing trials of the last 20 years in New York.” As part of his defense, Jonathan succeeded not only in clearing his own client, but in identifying and obtaining a witness-stand confession from the actual murderer. Before joining Shapiro Arato Bach, Jonathan was the Partner-in-Charge of the New York office of one of the nation’s leading law firms. 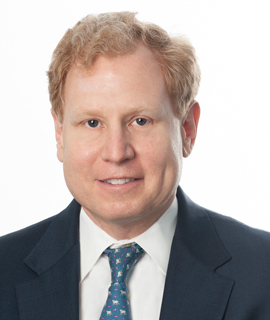 He currently serves on the Executive Committee of the New York Council of Defense Lawyers. Representation of big-four accounting firm in Department of Justice and SEC investigations. Representation of political party in high-profile grand jury investigation concerning allegations of campaign finance fraud. Representation of individual charged with bribery and fraud in case concerning allegations of corruption in NCAA basketball. Representation of senior officer of foreign corporation in FCPA investigation concerning Petrobras. Representation of individual at BNP Paribas in trade sanctions investigation. Defense of former senior partner at international law firm in high profile securities fraud trials concerning the collapse of Refco, and in related SEC proceedings and civil lawsuits. Defense of NYSE specialist in criminal securities fraud trial and related SEC and NYSE enforcement proceedings. Representation of major financial institution in DOJ and SEC investigations relating to the collapse of financial markets in mortgage-backed securities. Representation of audit committee of board of directors of technology company in conducting an internal investigation in connection with the company’s restatement of its financials. Representation of senior officers of major stock exchanges in SEC investigations concerning compliance obligations. Representation of individual charged with violating the Foreign Corrupt Practices Act by allegedly siphoning $87 million in proceeds from the sale of oil rights in the Republic of Kazakhstan. Representation of investment banker in high profile obstruction of justice trials in the Southern District of New York and related NASD enforcement proceedings. Representation of former Vice President of Finance of Adelphia Communications Company in connection with a grand jury investigation of securities fraud and bank fraud, related SEC investigation and trial proceedings. Representation of overseas entity in the first prosecution of an internet gaming company in the United States. Representation of former CEO of charitable organization charged with wire fraud and money laundering in the District of Minnesota. Representation of former chair of audit committee of public company based in China in SEC investigation concerning securities fraud. Representation of former head of large managed health-care Network in California in federal criminal case concerning tax evasion. Representation of senior officer of pharmaceutical distribution company in SEC investigation concerning financial statement fraud. Representation of senior employee of international auto-manufacturing company in Department of Justice investigation concerning compliance with EPA reporting requirements. Defense of large oil and gas services company in civil jury trial in Southern District of New York concerning contracts for the procurement of raw materials originating in India. Defense of non-profit charitable organization in a civil jury trial in Los Angeles superior court involving allegations of improprieties by one of the organization’s leaders. Defense of Lumber Liquidators in securities class action and consumer class action litigation in the Eastern District of Virginia. Defense of Pilot Thomas Logistics, one of the nation’s premier providers of fuel and chemicals to the energy, marine and mining industries in litigation in Connecticut and the Western District of Oklahoma concerning misappropriate of trade secrets and unfair competition. Defense of Ventrus Biosciences, Inc. in securities fraud litigation in the Southern District of New York. Defense of public life sciences company in breach of contract litigation in Delaware Chancery court. Defense of private international bank in civil matter involving Madoff funds. Representation of public biotechnology company in inventorship and ownership dispute in the District of Delaware concerning patents and related rights. Defense of leading provider of hedge fund consulting services in dispute concerning alleged theft of trade secrets in New York state court. Representation of private fintech company in achieving a preliminary injunction against a former employee based on claims of trade secret misappropriation in the Southern District of New York. Represented medical machine manufacturer in jury trial in New York state court concerning claims for breach of contract and breach of warranty. Defense of Israeli life sciences company in securities fraud litigation in Southern District of New York. Defense of technology company and its founder in breach of contract litigation in the Southern District of New York. Representation of large technology-based real estate company in trade secret misappropriation and breach of contract litigation in the Southern District of New York. Defense of Zipcar against alleged violations of Americans with Disablities Act in Southern District of New York. Vice-President, New York Council of Defense Lawyers. Secretary-Treasurer and Member of the Board of Directors, Federal Defenders of New York. Testified before Senate Judiciary Committee in April 2015 to address aspects of the asset forfeiture laws and their effect on the criminal justice system. Author of amicus brief concerning Fifth Amendment rights and criminal forfeiture quoted and discussed by the United States Supreme Court in Kaley v. United States, 134 S. Ct. 1090 (2014). Author of amicus brief in United States v. Fazio, 770 F.3d 160 (2d Cir. 2014), concerning the ability of district courts to excuse sitting jurors before a trial has been completed. Co-author of amicus brief in United States v. Hoskins, 902 F.3d 69 (2d Cir. 2018), in which the Second Circuit held, in a matter of first impression, that there is no aiding and abetting or conspiracy liability under the Foreign Corrupt Practices Act. Author, “Insider Trading Case Raises Concerns About Judicial Assignment,” New York Law Journal, Sept. 30, 2013. Panel Presentation on recent developments in conspiracy law for National Association of Criminal Defense Lawyers. Panel Presentation, “Trials in the 21st Century:Legal and Practical Issues Presented by the Electronic Age,” concerning the use of social media and electronic devices in the jury selection process. Author, “SDNY Takes New Tone In Judicial Assignment In Insider Trading Case,” New York Law Journal, June 16, 2017.